You could just add a small dropshadow to it and keep it white. Wow I was looking at the bottom of the first page when I wrote this, whoops! VectriI can't figure out how to modify the color of the notifacation accept menu in game. It's the message with the [J] and [K] in it. Have you tried changing the colour of "Notification_Label" in /resource/ui/notifications/base_notification.res? [quote=Vectri]I can't figure out how to modify the color of the notifacation accept menu in game. Was able to add the BonusHealthCross to my TargetID's thanks to f_blue, however, the top of the cross is cut off. I already tried changed the "tall" values in GUIHealth as well as moving the TargetIDs further apart (to prevent clipping, idk) but the cross is still cut off. Hope someone can help me out here. Also, I tried fixing the "unknown"-bug on the scoreboard by deleting the "GameType" and "PlayerScoreLabel" entries, but one "Unknown" still remains, as seen here: Link Any Tips? Also, I tried fixing the "unknown"-bug on the scoreboard by deleting the "GameType" and "PlayerScoreLabel" entries, but one "Unknown" still remains, as seen here: [url=http://i.imgur.com/OSv6ar1.jpg]Link[/url] Any Tips? KhanTF2Also, I tried fixing the "unknown"-bug on the scoreboard by deleting the "GameType" and "PlayerScoreLabel" entries, but one "Unknown" still remains, as seen here: Link Any Tips? Try keeping it in but make the xpos "9999". Tried that, didn't change anything. I have also changed the tall values of literally everything in SpectatorGUIHealth.res and of everything that seemed reasonable in TargetID.res, to no avail. I feel like the BonusHealthCross clips with some other element, because when I move it down a bit, the upper bit appears while some of the lower bit get cut off. _Kermit KhanTF2Also, I tried fixing the "unknown"-bug on the scoreboard by deleting the "GameType" and "PlayerScoreLabel" entries, but one "Unknown" still remains, as seen here: Link Any Tips? Tried that as well, didn't change anything. However, when looking around I found an entry named "MapName" which - upon setting visible to 0 - got rid of the Unknown. Looks a bit empty though. I believe other huds still have the map name in them, does anyone know how to implement it again? So, Here is the Class Selection Screen. When I Hover over a Text, it's Fine (It Goes Green). But after I choose the Class, the Text stays Green. I want to to go back to Normal (White) right after when I Choose. Any Help will be Appreciated! "defaultBgColor_override" "0 0 0 0"
"armedBgColor_override"	"0 0 0 0"
"depressedBgColor_override" "0 0 0 0"
"selectedBgColor_override" "0 0 0 0"
"FgColor" "227 227 227 255"
"Fgcolor_override"	"227 227 227 255"
"defaultFgColor_override" "227 227 227 255"
"depressedFgColor_override" "227 227 227 255"
Change "armedFgColor_override" back to the 227 277 227 255 and it should be fine. How can I remove these *8 health numbers? 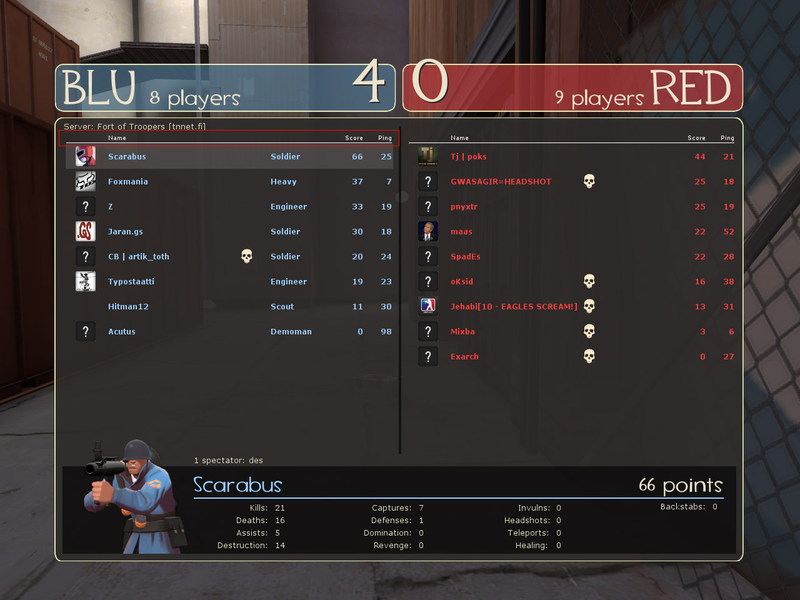 I need to move my spy disguise menu. What is the file name that I'm looking for? DisguiseStatusPanel.res in resource/ui and DisguiseStatus in hudlayout.res. 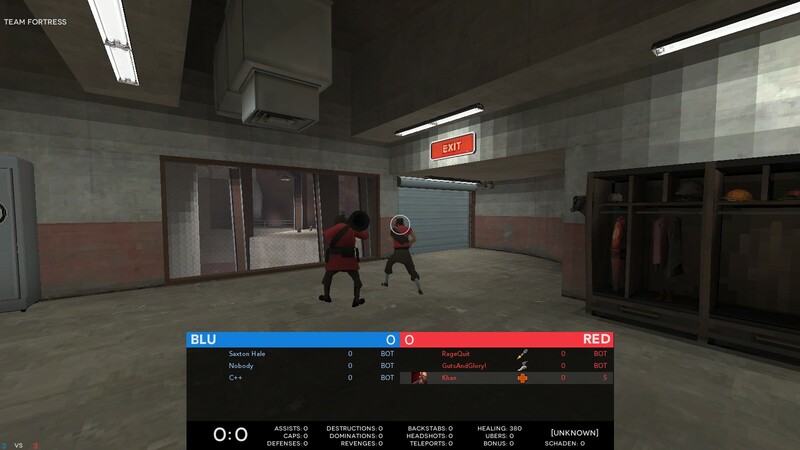 MR_SLINI need to move my spy disguise menu. What is the file name that I'm looking for? 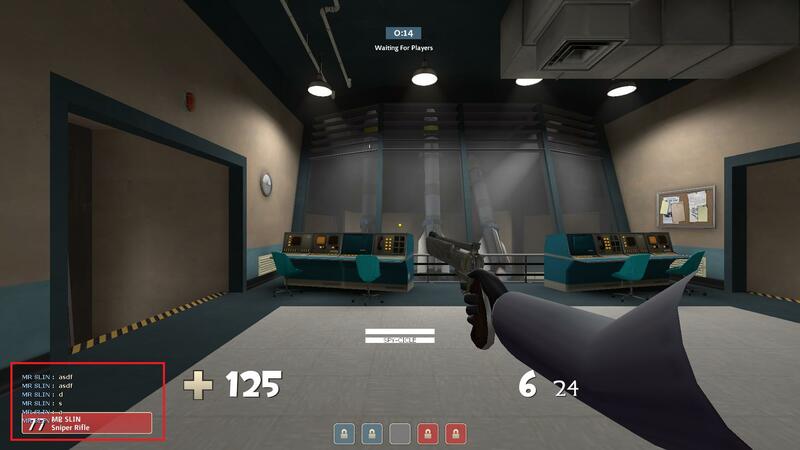 The spy diguise stuff should be located in the DisguiseStatusPanel.res and DisguiseStatus in hudlayout.res. 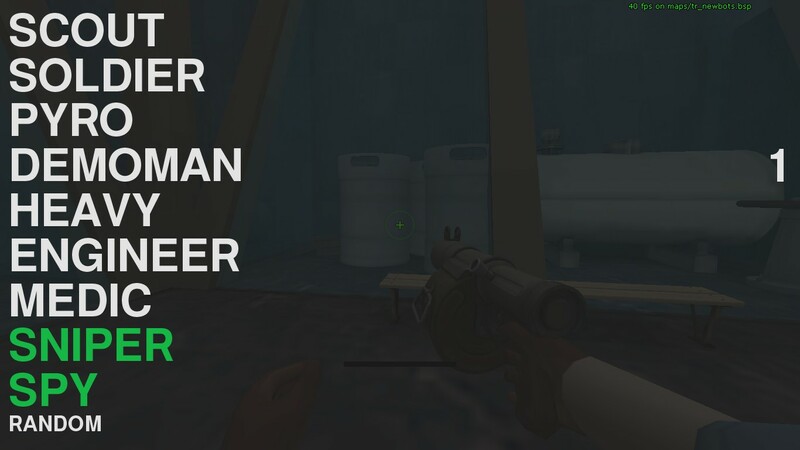 [quote=MR_SLIN]I need to move my spy disguise menu. What is the file name that I'm looking for? Teca99How can I remove these *8 health numbers? Should be located in hudhealthaccount.res. you can change the "delta_lifetime" to 0 and it should not show up. [quote=Teca99]How can I remove these *8 health numbers? Correct me if im wrong, but isn't there a default font that you override in the clientscheme that changes it? It's something like scoreboard font or something. I started using broeselhud after a long time of using PVHUD. 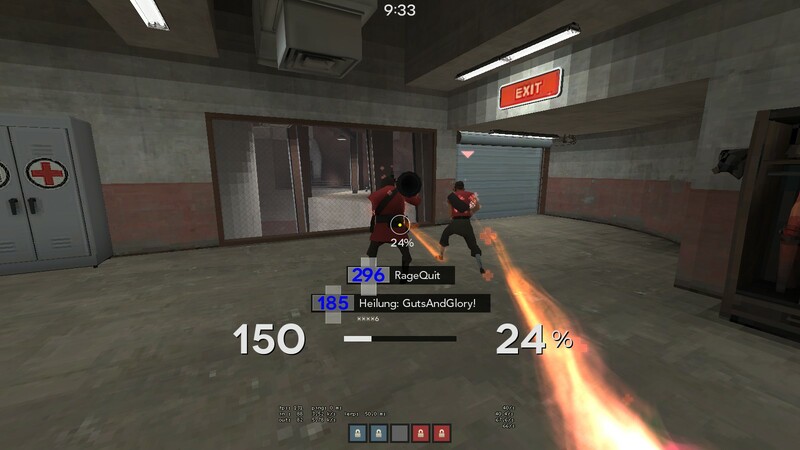 I also had the PVHUD cross 0r plus/+ hudcrosshair that would flash red on damage along with the normal tf2 crosshair7. How would I make the broeselhud cross to flash red on damage like the pvhud counterpart? whats the hud this guy is using ? mousiopewhats the hud this guy is using ? I believe it's this hud: http://rebelconquer.net/thread/8247/show-your-hud-modifications/?page=88#324495. It was an edit that was posted in the hud modifications thread. [quote=mousiope]whats the hud this guy is using ? How would I go about changing the font of this text? http://imgur.com/K9ZRD3y I cant seem to find how to change it anywhere. Ferdux Teca99How can I remove these *8 health numbers? [quote=Ferdux][quote=Teca99]How can I remove these *8 health numbers?